If you would’ve told me 5 years ago that I would be writing a post about how much I love midi dresses I probably would’ve thought you were crazy. I feel like midi length skirts just weren’t very popular then, other than for office attire, but that couldn’t be further from the truth now. And honestly at age 30, midi skirts have surpassed minis and are officially giving maxi skirts a run for their money when it comes to my favorite length for dresses! Megan and I both love a bargain and BOTH of our midi dresses are actually from Who What Wear’s line for Target AND under $50 (as is the entire Who What Wear line). 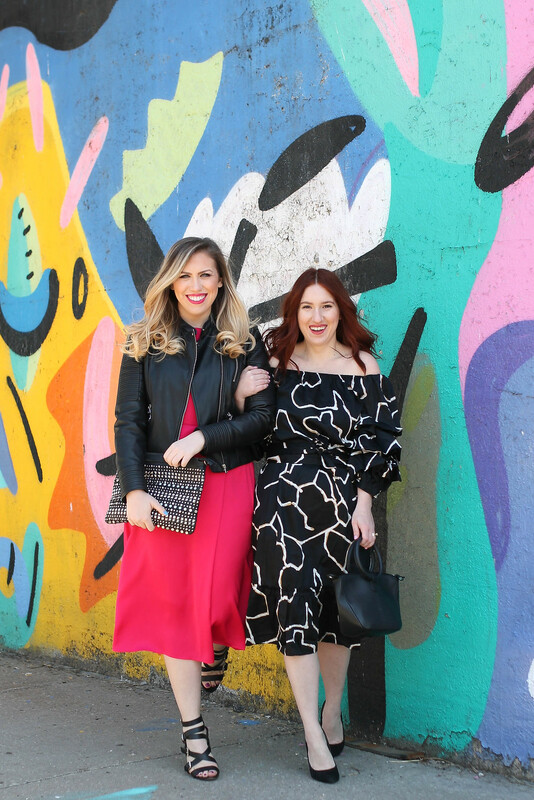 But these 2 pieces aren’t the only good deals I’ve found when it comes to spring fashion so I’ve rounded up my favorite 15 midi dresses for Spring under $50! 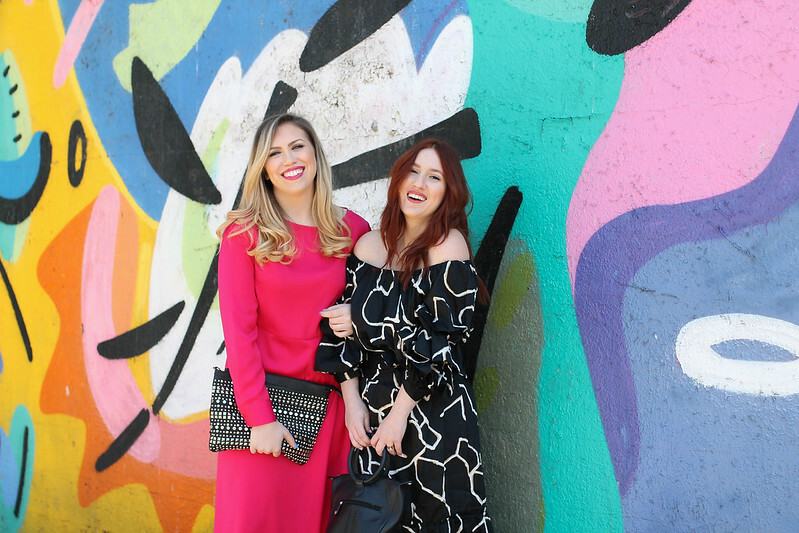 So if these 2 affordable pieces don’t tickle your fancy then maybe one of these midi dresses for Spring will! I scoured my favorite websites for the best deals and I think I was able to find an array of styles…at least one for everyone! 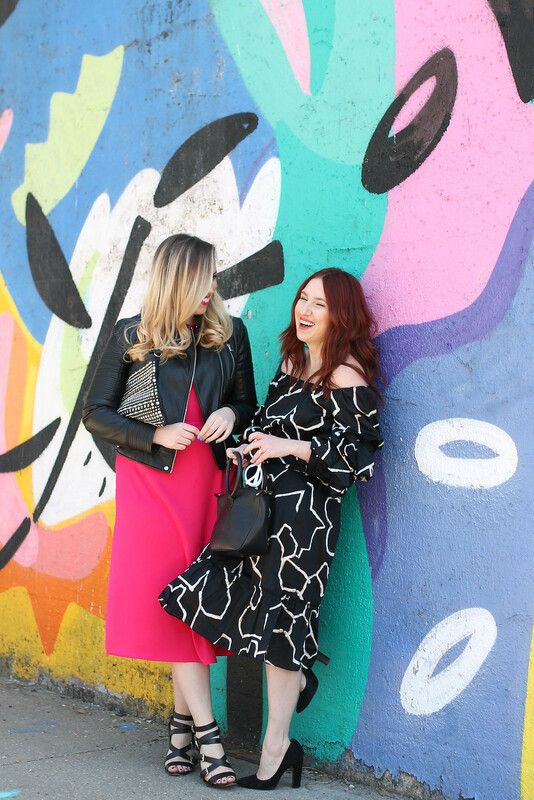 From fancy to casual, solid to printed, bold to pastel…I’ve got you covered when it comes to affordable midi dresses for Spring! Are you as much of a fan of midi dresses as I am? Looking for more inspiration…check out our Spring Blues & Spring Layers Looks! And make sure to head over to Megan’s blog to see more photos of her outfit! Are Varsity Jackets in Style in 2018?